Antoine Griezmann has claimed that he deserves to be considered for the Ballon d’Or award after having been successful at the World Cup while also enjoying similar success with Atletico Madrid. Back in the 2016 campaign, Griezmann came third only to Cristiano Ronaldo and Lionel Messi. The Ballon d’Or award is considered as the most prestigious title for a footballer or an individual scale, andGriezmann was nominated for the third place even when he did not win any major honour in 2016. It was a disappointing campaign for the French superstar, as he suffered a defeat in the Euro 2016 final with France just a few weeks after losing the Champions League final while playing with Atletico Madrid. Now, however, his fortunes have met with a substantial change andGriezmann was able to lift the World Cup for the first time in his career when France won the competition in Russia. This was followed by an impressive season with Atletico Madrid, as he won the Europa League before claiming the UEFA Super Cup title a few weeks back. As a result,Griezmann sees himself as having a great shout for being considered for the Ballon d’Or award in the upcoming ceremony. He has rejected suggestions that the award may be branded as unfair if he did not lift the title this time around. “Comparing 2016 and this year, for me I have to be in the top three. In 2016, I lost two finals and was in the top three. This time I have won three finals. Not unfair, but I would wonder what more I could do. I have won three trophies, stood out at decisive moments, but it is not me who votes,” said Griezmann. Despite winning several trophies, it has not been a goal fest from the French player. 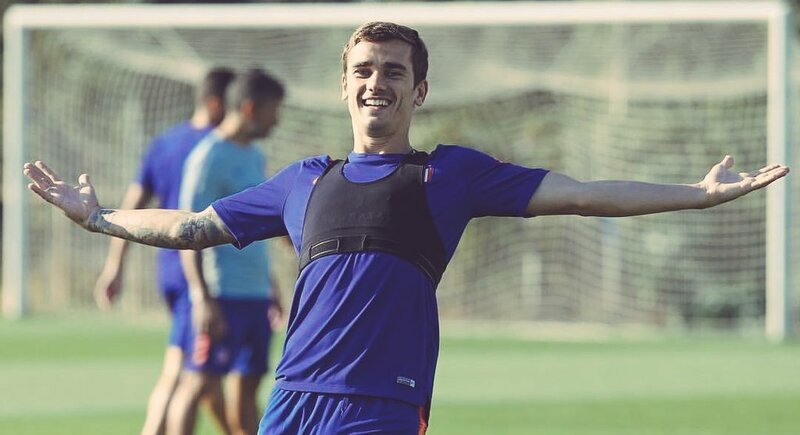 Antoine Griezmann Ballon d’Or Lionel Messi.